Dr. Pushpita Das is Research Fellow and Coordinator of the Internal Security Centre at the Institute for Defence Studies and Analyses (IDSA), New Delhi. Her areas of research include border security and management, coastal security, drug trafficking, migration, and India’s Northeast. At IDSA she has been studying India’s approach towards the management of its international borders. She has been co-opted as an expert by the National Security Council Secretariat (NSCS) as well as the Ministry of Home Affairs (MHA) on projects on Coastal Security. Dr. Das has written extensively on her areas of research including: monographs titled Illegal Migration from Bangladesh: Deportation, Fences, Work Permit (2016) and Coastal Security: the Indian Approach (2013); three occasional papers titled Status of India’s Border Trade (2014), Drug Trafficking in India (2012), Coastal Security along Gujarat and Maharashtra coasts (2009); and a number of articles and commentaries in journals and books. She has also published two edited books:India’s Border management: selected documents (2010), and Northeast India: New Vistas for Peace (2008). Dr. Das has delivered lectures at a number of training institutes including the Lal Bahadur Shastri Academy of Administration, Mussoorie; Naval War College, Mumbai; Sardar Vallabhbhai Patel National Police Academy, Hyderabad; Sardar Patel Institute for Public Administration, Ahmedabad; and Royal Institute for Governance and Strategic Studies, Bhutan, apart from participating in national and international seminars. Dr. Pushpita Das holds a Doctorate from the Jawaharlal Nehru University. Research Fellow, IDSA, Dr Pushpita Das’ write up titled ‘Security Challenges along India-Myanmar Border’ has been published on London School of Economic and Political Science (LSE) South Asia Blog. Dr Das examines the security challenges currently emanating across the India-Myanmar border in the write up. 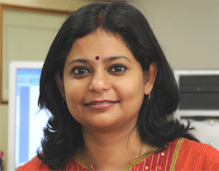 Research Fellow, IDSA, Dr Pushpita Das article on the menace of drug trafficking in India, titled ‘Drug trafficking a challenge to India's security’ was published in WION on June 30, 2017. For the financial year 2017-18, the Ministry of Home Affairs(MHA) has been allocated Rs. 83,823 crore, a hike of around 11.5 per cent over that of the previous year. Though the Union government has been providing substantial budget support to the MHA to aid its reform and modernisation programs, the ministry’s efforts to bring about desired reforms have shown mixed results so far. Raising a Central Marine Police Force and wasting resources on their training and equipment is neither necessary nor advisable given that the country already has a central organisation to protect the coast – the Indian Coast Guard.